Our Good Days-Good Friends blog lets you experience the wide variety of events and activities our Day Service program individuals participate in every month. 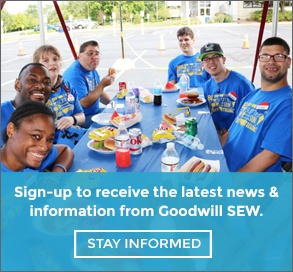 Our What Works Blog gives our Goodwill industry experts a chance to share their workforce development solutions for employers and tips for job seekers. At Goodwill, we honor and respect the servicemen and women who have served our country. Read their stories now.